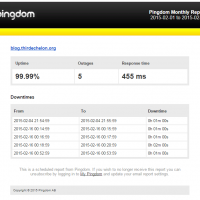 I’ve been using Pingdom to monitor the uptime and performance of this blog; I originally found it on someone else’s blog while doing research on Apache/Wordpress. 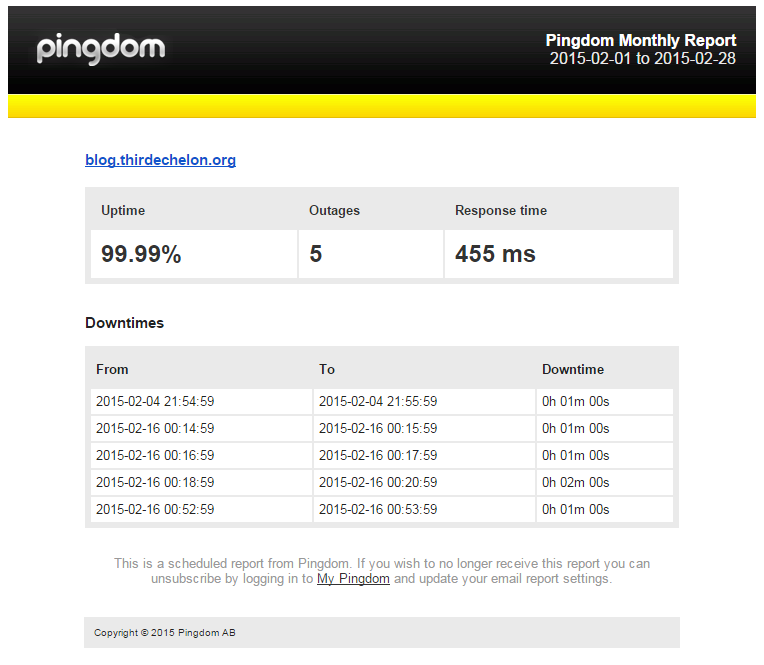 With a free account you can get a monthly report of your site’s uptime, number of outages and average response time. 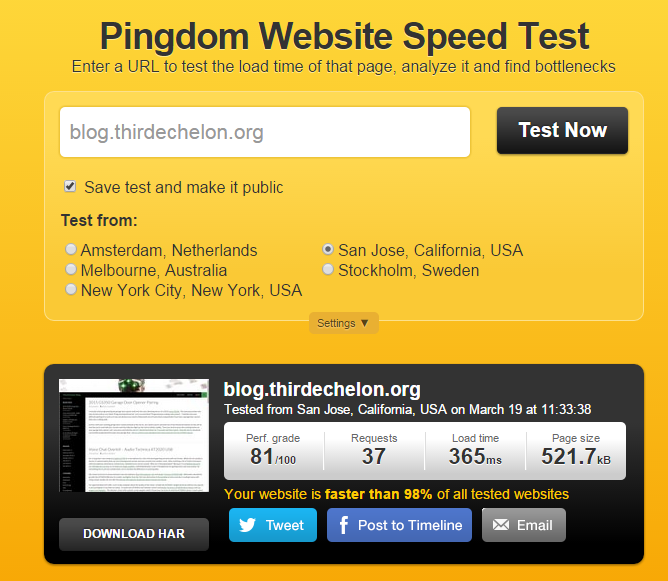 You can also configure a custom page like this one to display an overview of your site’s performance stats. 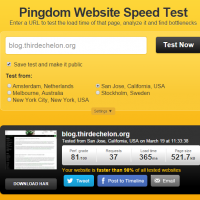 Finally, you can use their speed test to benchmark your site’s load time and it offers recommendations on how to improve it; you can also choose from different locations around the world to test your site from.